Specially made Idler Gear Thrust washer - A series 0.140 - 0.141 thou. As cases get older and items wear it is sometimes necessary to either repair a gearbox or put an insert in to the case to recover an over tolerance idler gear end float. 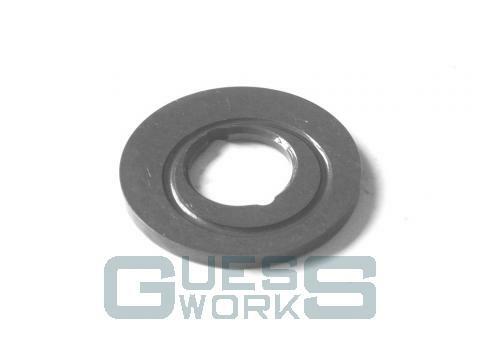 Guessworks has had two oversized shims produced which can recover upto a 0.030" endfloat over the standard which is enough to allow a gearbox or transfer case to be refinished.